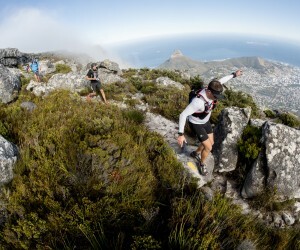 This year’s Ultra-trail Cape Town (UTCT) presented by Salomon takes place next Saturday, 2 December, and sees an elite group of international and top local ultra trail runners competing on one of the most beautiful race routes in the world, traversing challenging terrain in the Table Mountain National Park. This year’s race, the fourth event of its kind, forms part of the Ultra-trail World Tour, and South African Ryan Sandes, considered one of the world’s leading ultra trail runners, will be in the line-up for the 100km event. Race organisers are calling on Cape Town’s residents to join in and support along the route, as this growing race makes its mark on the international sporting calendar. 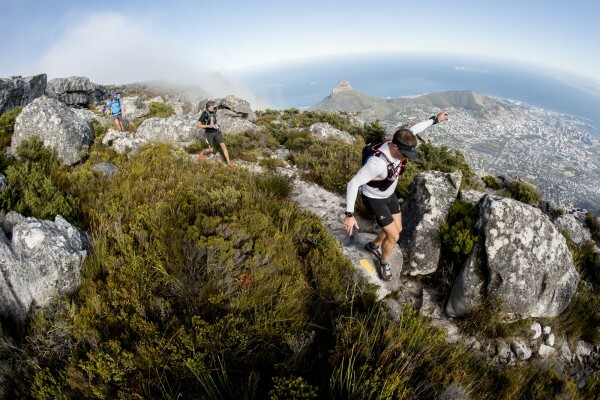 UTCT presents three trail races of 100km, 65km and 35km that traverse the mountains of the Cape Peninsula. The races all traverse sections of Table Mountain, Lion’s Head, Signal Hill, Orangekloof, Llandudno, Hout Bay, the Constantia Winelands, the upper slopes of Kirstenbosch Nature Reserve and Devil's Peak, which form part of the iconic natural world heritage site and one of the new Natural Seven Wonders of the World. Ryan Sandes will be up against fellow South African Prodigal Khumalo who took the top spot at UTCT 2016, and who as a road runner was a 7th and 9th placed Comrades runner in previous years. Other local athletes to watch will be Bongmusa Mthembu, the current Comrades champion. Of the many international elite runners, Dylan Bowman from the Unites States, and Lucy Bartholomew from Australia will be strong contenders. This beautiful race lends itself to supporters joining along the route, to enjoy the spectacular natural beauty and a festive vibe, encouraging athletes and having an active, fun day out. To encourage this and to further reduce UTCT’s carbon footprint, race organisers have set up regular shuttles for supporters to provide a hassle free, hop-on, hop-off way to get out on route. “We look forward to seeing local supporters lining the route and joining us at the three designated supporters’ zones, at the start/finish in Gardens, on the Alphen Greenbelt and at UCT Tennis Club. Let’s show our support for the athletes and all be a part of building this race further as one of Cape Town’s iconic sporting events,” said race founder Nic Bornman. Presale tickets for the shuttle service are available at registration, and are R35 for adults and R20 for children under 12. You can also buy tickets on the day in the bus, R45 adults and R30 for children under 12. Rides are unlimited and the service may be joined at any of the locations.